Healthy gums are the foundation of an overall stable health. The treatment to prevent periodontitis is one of the most important treatments we offer in our Dental office in Frankfurt. Periodontitis is a chronic, insidiously evolving inflammatory disease of the periodontium that if untreated, will cause a decrease in bone substance in the mandible and inevitably result in the loss of teeth. The inflammation of the gum can also cause severe consequences to the general health – as risk of diabetes, myocardial infarctions or stroke increases. Women during pregnancy are in severe risk, as a periodontitis can result in premature birth. The cause for this disease can be traced back to bacteria that are found in plaque between the teeth and the gums, as well as in gingival pockets. If these areas of plaque are not removed, they begin to harden and lead to bleeding of the gums and gum inflammation that continues to evolve in depth. To treat this disease, a consistent and systematic approach to treatment is necessary. The goal of the treatment is the removal of bacterial infected plaque and the restoration of the periodontium into its natural state. The utilisation of modern technology allows us to provide a painless and effective treatment. This allows us to save endangered teeth in a plethora of cases. 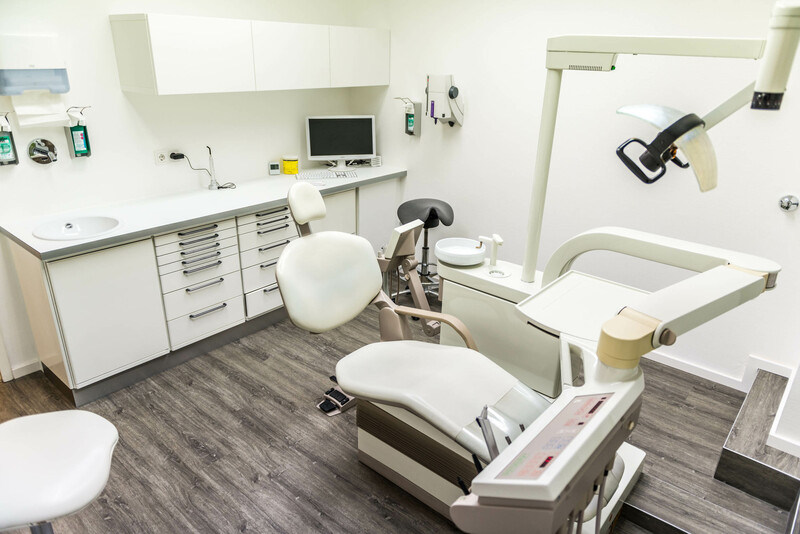 Our dental practice is located near the Frankfurt Bahnhofsviertel – directly in the Kaiserstraße 50. Dr. Paul P. Polarz is happy to take care of the concerns around your teeth!